The excitement mounts, as we are only a week away from our first “race”. 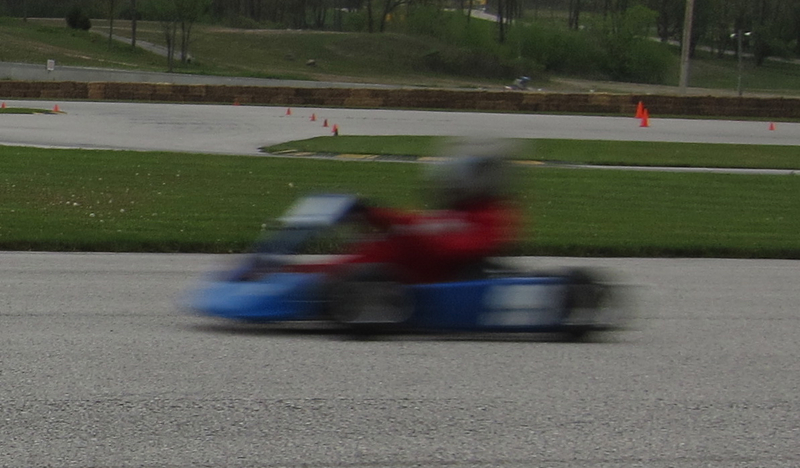 Last Saturday we went to the Road America Karting Club for out introduction to the race day and a track tour. Jason was excited to ride in a golf cart, for the track tour. He listened attentively to the guide and was able to use the info during practice the next day. Sadly, practice on Sunday was only exciting in a rainy way, heavy rains and storms where predicted and arrived in short order. No other kid karts showed so, between the rain and “racing yourself”, we ended practice after a few half dozens of laps. At least we spent some time on the track and now how to get the kart around it before the first race. Wish us luck as we finally see and feel go kart racing.